Crystal Dunn scored a goal and recorded four shots to help her team secure a 2-1 win for three points. 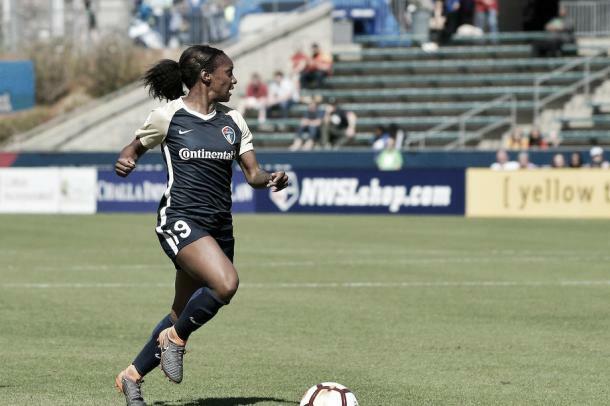 The NWSL Media Association announced that North Carolina Courage forward Crystal Dunn had been voted the NWSL Player of the Week for Week 8. She scored the opening goal in the Courage’s match against Sky Blue FC on Saturday that ended in a 2-1 win for the top team in the NWSL. Dunn has played a pivotal role for the Courage, helping them secure a 7-0-2 record to stay unbeaten with 23 points and in first place. Dunn’s goal came in the 16thminute off an assist from Jessica McDonald. Debhina played the ball through the right to McDonald who dribbled down the flank. McDonald sent it across the box where it landed at Dunn’s feet who slid past her defender and put it in the side-netting. The goal was Dunn’s fourth of the season, moving her tied into second place for the golden boot award with Seattle Reign's Megan Rapinoe. Portland Thorns captain Christine Sinclair leads the race with five goals this season. Dunn now leads the NWSL in Player of the Week honors with seven in her four seasons she has played in the league. Six of her seven honors came in the 2015 season where she was named NWSL MVP and golden boot winner with 15 goals. She was also named Player of the Month in 2015 for August where she scored six goals and notched an assist in six matched. 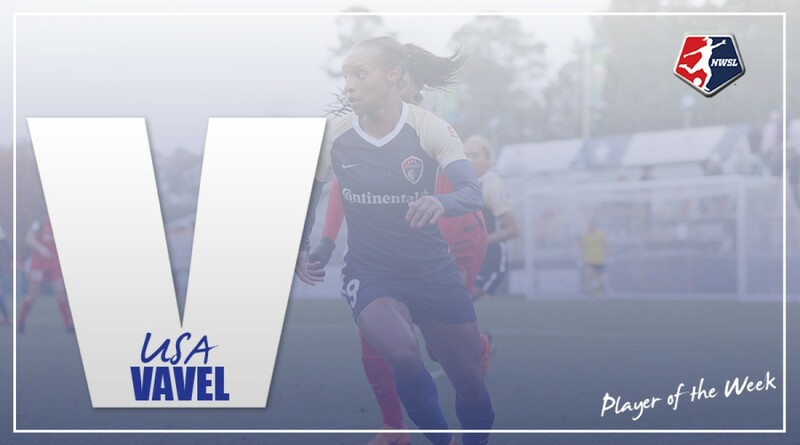 Dunn and the rest of the Courage will travel south to face the Orlando Pride Wednesday May 23 with kickoff scheduled for 7:30 p.m. ET and streaming live on go90.